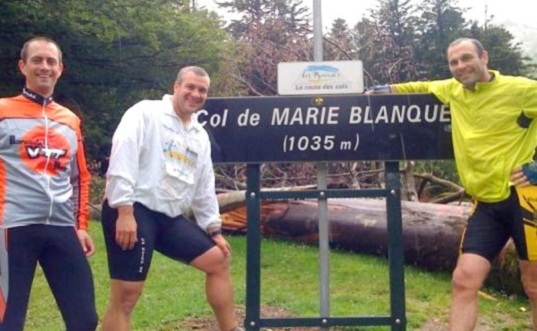 Biking is a great way to discover the Pyrenees! 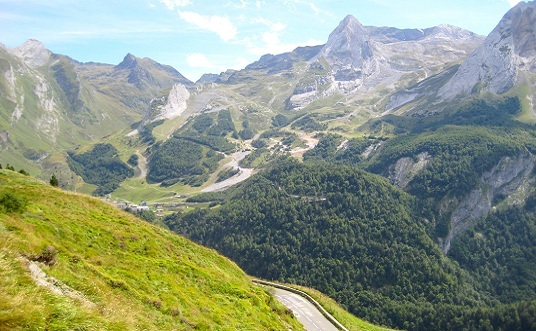 Enjoy incredible panoramic views while cycling! The Aspe valley has a huge variety of trails for mountain biking! The Pyrenees and the Aspe valley are a gigantic playground for cycling and mountain biking! 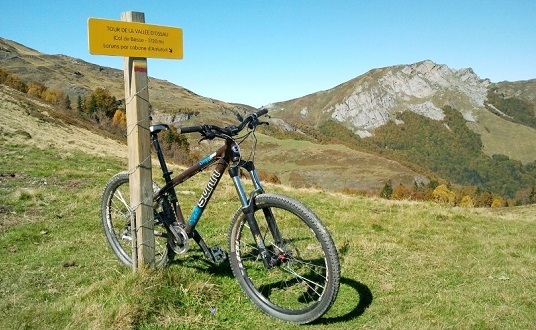 Here in the Aspe valley both bikes and mountain bikes are available for rental. Bikes can be rented for 2 hours, half a day and a full day. NEW - Electric mountain bikes are now available for rental! Perfect for a longer but much less tiring ride. If you would like to know more about the Aspe valley and the Pyrenees riding with a local guide is perfect for you! Depending on the trail and its difficulty children might be able to join in. Best is to wear confortable clothes! ➔ Included at Fontaines d’Escot ! Are you coming to the Aspe valley for biking? Here at Fontaines d’Escot you can choose to stay either in our B&B Suites (half board formula available) or in our self catering gites. 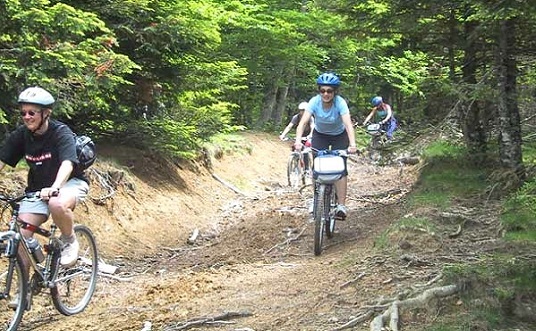 ➔ We offer a 5% discount for all guests coming for biking in the Aspe valley! When booking or simply checking our prices please remember to tick "biking" under the "Special offers" tab to get your 5% discount! 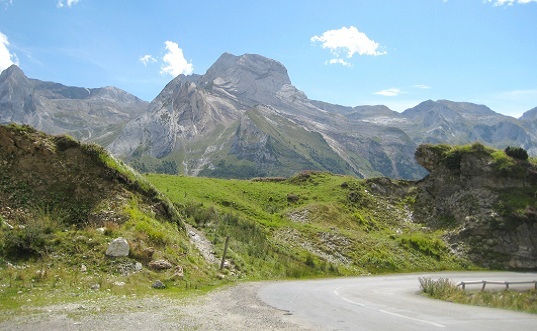 Nearest Cols to Fontaines d’Escot great for cycling or touring on motorbike! Mountain biking in the Pyrenees!